Soft focus shadow. Perfectly blended powders. 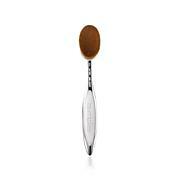 It's all yours with this precision brush. 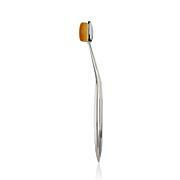 It's specially designed to help you comfortably create the expert styles you desire with ease. 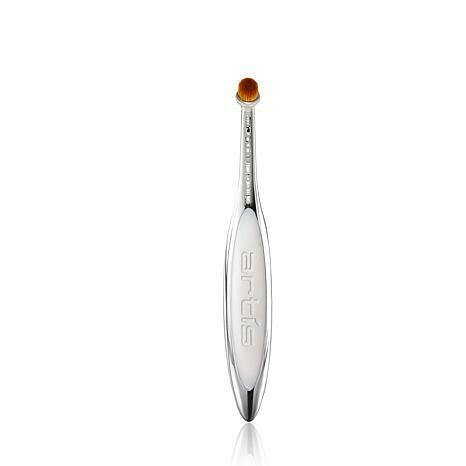 So go ahead, give soft lips or concealer a try ... you can do it with Artis Elite. 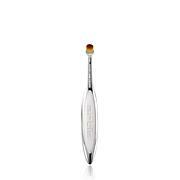 These make up brushes are pricey, but they are fantastic! I have 5 of them and love them. These smaller ones are so great for applying concealer and the larger paddle brushes give your Foundation a light airbrushed look. No more wasted product with these brushes. A little goes a long way. I ordered this brush specifically to apply concealer under my eyes. I was a little hesitant because it was so pricey but I decided to try it anyway. So glad I did. 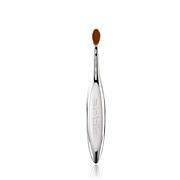 This brush is perfect for applying makeup just below and in the corner of the eye. It's so small, it resembles your own fingertip, but it lays down makeup soooo much better. Not only does my concealer go on smoothly and evenly, but I am using much less because the coverage is so much better than with other brushes. This brush will pay for itself in no time. So glad I got it. Perfect for more precise placement! Lovin' the Artis brushes, and got this one primarily for applying highlighter to the inner eye corners and this seems to be tailor made for that. It blends and places better than other applicators I've used. I've also learned it's perfect to apply concealer around my nose. A great addition to my growing Artis collection! Thanks Artis, and thanks so much to HSN for bringing this line to us!